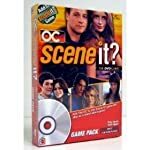 Collectible Toys, Games, Dolls, Puzzles, & Lots of Other Fun Stuff! 16 scoring chips, two dice, four card decks, card tray, label sheet and instructions. For 2 to 4 players. 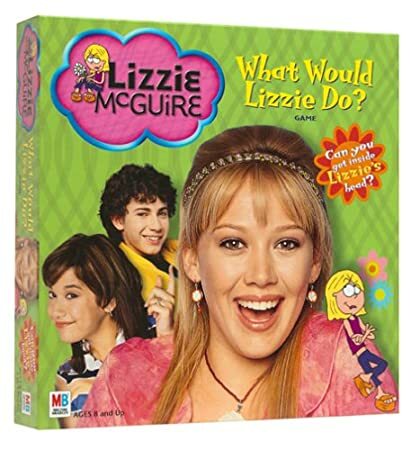 How well do you remember tidbits from Lizzie's favorite TV show' Can you guess what she would do in a sticky situation' Have a hoot answering questions about what YOU would do too. Which one of your parents lets you get away with the most, or what was the funniest thing that ever happened to you' Perform some silly stunts with your friends, and win points based on how well you answer or act. Rack up the most points and you're the star of the game. the Chance to Play Along, Laugh Along, and Even Learn along! 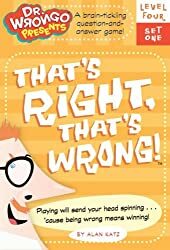 This game encourages kids to give the wrong answers to a wide variety of questions. When they do, they'll score points and laugh themselves silly... and them they'll learn the right answers and some additional facts to remember. So don't worry, they won't end up stupid or weird this game is sure to make them happier and smarter! And if you don't believe me, you're wrong too! 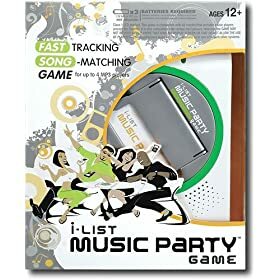 It's the fast-find song frenzy that pits your playlist against your friends' in a simultaneous music challenge for up to four players! When you're done playing, use the console to play your favorite music! 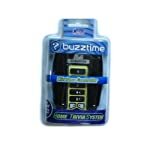 the console stores everything, making it easy for you to take this tune-tappin' song-matching game anywhere you go! Hilarious product with parody "CD" covers of famous artists like NSync, Eminem, Puff Daddy, Britney Spears, Michael Jackson, Madonna, Dr. Dre, Ozzy Ozbourne, Rolling Stones, Bruce Springsteen, Cher, The Judds, Dixie Chicks, Elvis, Marilyn Manson, Howard Stern, BackStreet Boys, Christina Aguilera, and more! Great gag gift for any music fans!! 5 cards per pack !! One Box with at Least 120 Laughs!